Review of "The Crisis of the European Union"
"In the present book Jürgen Habermas reconstructs the basis for the legitimacy of a democratic European Union (EU), an entity that while not a state is still more than an international organization. The EU does not fit with the conventional categories of public and international law. The immediate backdrop for the book is the financial crisis and how the "troika" -- the International Monetary Fund, the European Commission and the European Central Bank (ECB) -- has handled the problems of the Eurozone. In its struggle with global financial markets the EU has lapsed into old-fashioned power politics and dictated conditions for the insolvent members of the zone. An appendix reprints some of Habermas' recent political interventions, where he accuses Europe's political leaders of inapt action and putting the whole integration project at risk." Erik O. Eriksen is Professor of Political Science at Oslo University and Director of ARENA Centre for European Studies. He is co-author with Jarle Weigard of "Understanding Habermas: Communicative Action and Deliberative Democracy" (Continuum, 2003), and author of "The Unfinished Democratization of Europe" (Oxford University Press, 2009). "Europe on the Brink: Habermas and the Currency Crisis"
For Habermas, “Europe” is a good idea that has fallen into the wrong hands. It’s time for the people to take the idea back from the bankers. The politics that matters now is less a demand for more democracy within the nation, where it takes familiar forms, than a demand for democracy beyond the nation, where it remains to be invented. This sounds pretty good. But is Habermas really ready to push for it? When he speaks of “politics,” what he often seems to mean is laws. A law is a principle that’s been agreed on. Politics aims at agreement and sometimes gets there, but at its heart is its “in the meanwhile”: an ongoing process of disagreement. You can see the virtues of Habermas’s respect for law in his famous slogan “constitutional patriotism.” Anti-cosmopolitans argue that real solidarity will never emerge except from ethnic, religious, and national sameness. 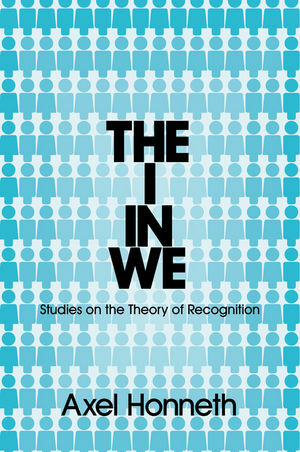 Habermas insists that people don’t need as much sameness as they think in order to feel solidarity with each other. Beyond ethnic or religious or national identity (the sort of thing that leads to intolerance and war), powerful loyalties can also get attached to the constitution as a guarantee of the equal rights of all. But Habermas’s faith in law has a disadvantage, and it’s a big one. It discourages political struggle based on fundamental differences of perspective and interest. And it’s only serious, long-term political struggle of this sort that could ever make transnational economic solidarity into a reality. Bruce Robbins is Old Dominion Foundation Professor in the Humanities, Department of English and Comparative Literature, Columbia University. See my previous posts on Jürgen Habermas's book here (German edition), here (English edition), and here (reviews). Moving beyond the work of Rawls and his critics, this concise collection contains critical essays in contemporary political philosophy. All have been chosen for their importance and accessibility, and some have been edited by their authors for inclusion in this work. The book covers five main topics: equality, justice, liberty, democracy, and human rights. To assist readers, the editors have also provided section introduction and study questions as well as an overall introduction explaining the background to contemporary work in political philosophy. Beginning where most other anthologies in political philosophy conclude, this book can be used alone or in conjunction with any collection of historical sources. Steven M. Cahn is Professor of Philosophy at the City University of New York Graduate Center. Robert B. Talisse is Professor of Philosophy at Vanderbilt University. Jürgen Habermas receives the Heine Prize of the city Düsseldorf. The honor is awarded to personalities who through their work in the spirit of Heinrich Heine's emphasis on the basic rights of man, advance social and political progress, mutual understanding of the peoples, or spread the idea that all people belong to the same group: mankind. "Der Heine-Preis der Landeshauptstadt Düsseldorf 2012 wird an Jürgen Habermas verliehen, als einen der weltweit bedeutendsten Denker der Gegenwart, für sein Lebenswerk, das durch freiheitliche Ideen der Aufklärung, seinen unermüdlichen Einsatz für ein demokratisch verfasstes Deutschland sowie seine streitbaren Beiträge zu den gesellschaftspolitischen Debatten Europas geprägt ist. Jürgen Habermas steht mit seinem kritischen Werk überzeugend in der Tradition des Schriftstellers und Intellektuellen Heinrich Heine." Past prize winners include Carl Friedrich von Weizsäcker (1983), Marion Gräfin Dönhoff (1988), Max Frisch (1989), Richard von Weizsäcker (1991), Wolf Biermann (1993), Wladyslaw Bartoszewski (1996), Hans Magnus Enzensberger (1998), Amos Oz (2008) and Simone Veil (2010). Professor Thomas Pogge's paper, “Are We Violating the Human Rights of the World’s Poor?" [pdf] published in "Yale Human Rights & Development Law Journal" Vol. 14, no. 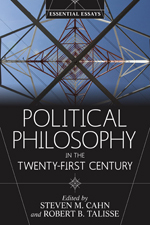 2 (2011) has won the 2013 Gregory Kavka Prize in political philosophy. Thomas Pogge is Leitner Professor of Philosophy and International Affairs, Yale University. He is the author of "John Rawls: His Life and Theory of Justice" (Oxford University Press, 2007), "World Poverty and Human Rights" (Polity Press, 2008, 2nd, expanded edition) and "Politics as Usual: What Lies Behind The Pro-Poor Rhetoric" (Polity Press, 2010). The Balzan prizewinners 2012 were announced today. Among the four prizewinners is Professor Ronald Dworkin at New York University. Ronald Dworkin receives the award for "his fundamental contributions to Jurisprudence, characterized by outstanding originality and clarity of thought in a continuing and fruitful interaction with ethical and political theories and with legal practices." The International Balzan Prize Foundation’s aim is to promote culture, the sciences and the most meritorious initiatives in the cause of humanity, peace and brotherhood among peoples throughout the world. The awards ceremony takes place in Rome in November. Spiegel: … and from the entire leadership of Germany's Social Democratic Party (SPD). "Im ersten Teil des Buches geht es um den Perspektivenwechsel von metaphysischen Weltbildern zur Lebenswelt. Letztere analysiert Habermas als »Raum der Gründe« – auch dort, wo die Sprache (noch) nicht regiert, etwa in der gestischen Kommunikation und im Ritus. Im zweiten Teil steht das spannungsreiche Verhältnis von Religion und nachmetaphysischem Denken im Vordergrund. Habermas schließt hier unmittelbar an seine weitsichtige Bemerkung von 1988 an, wonach die »Philosophie auch in ihrer nachmetaphysischen Gestalt Religion weder ersetzen noch verdrängen« kann, und erkundet etwa das neue Interesse der Philosophie an der Religion. Den Abschluss bilden Texte über die Rolle der Religion im politischen Kontext einer postsäkularen, liberalen Gesellschaft." (1): In German: Jürgen Habermas - "Philosophische Texte bd. 5" (Suhrkamp Verlag, 2009), pp. 203-270. Revised version in Carl Friedrich Gethmann (ed.) - "Lebenswelt und Wisseschaft" (Felix Meiner, 2011), pp. 63-88. 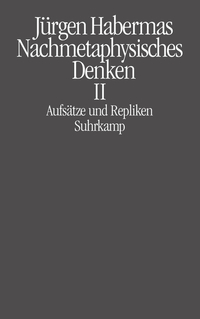 (4): In German: "Deutsche Zeitschrift für Philosophie" vol. 58 (2010), no. 1, pp. 3-16. And in English: the website "The Immanent Flame" February 2010. (6): In German: Rudolf Langthaler & Herta Nagl-Docekal (eds.) - "Glauben und Wissen. Ein Symposium mit Jürgen Habermas" (Akademie Verlag, 2006) pp. 366-414. (7): In English: Eduardo Mendieta & Jonathan VanAntwerpen (eds.) - "The Power of Religion in the Public Sphere" (Columbia University Press, 2011) pp. 15-33. And in German: Eduardo Mendieta & Jonathan VanAntwerpen (eds.) - "Religion und Öffentlichkeit" (Suhrkamp Verlag, 2012) pp. 28-52. (8): In English: "European Journal of Philosophy" vol. 18 no. 3 (2010) pp. 443-453. And in German in John Rawls - "Über Sünde, Glaube und Religion" (Suhrkamp Verlag, 2010). Also in "Deutsche Zeitschrift für Philosophie" vol. 58 no. 5 (2010). (9): In English: James Gordon Finlayson & Fabian Freyenhagen (eds.) - "Habermas and Rawls: Disputing the Political" (Routledge, 2011), pp. 283-304. (10): In German: "Die Dialektik der Säkularisierung", Blätter für deutsche und internationale Politik, 2008 no. 4, pp. 33-46. Essay (5) will be published in English in Craig Calhoun, Eduardo Mendieta and Jonathan VanAntwerpen (eds.) - "Habermas and Religion" (Polity Press, forthcoming 2012).